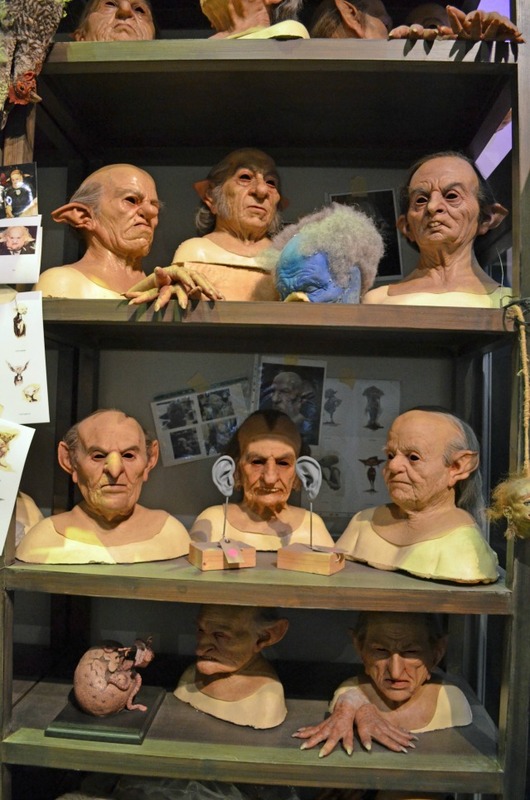 From the looks of it, I've got quite a few Potter-heads for readers! 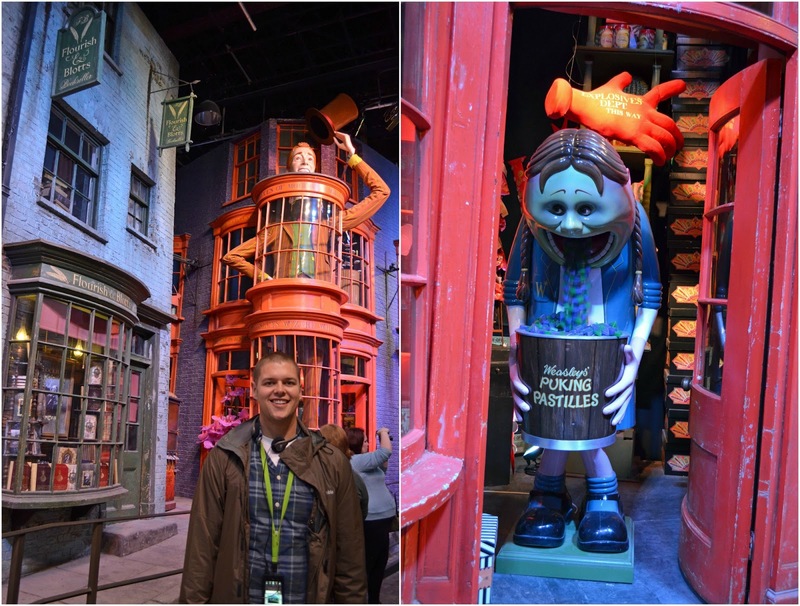 I'm so glad you all enjoyed yesterdays post…and as promised, here's the last of the photos from the HP Studio Tour! 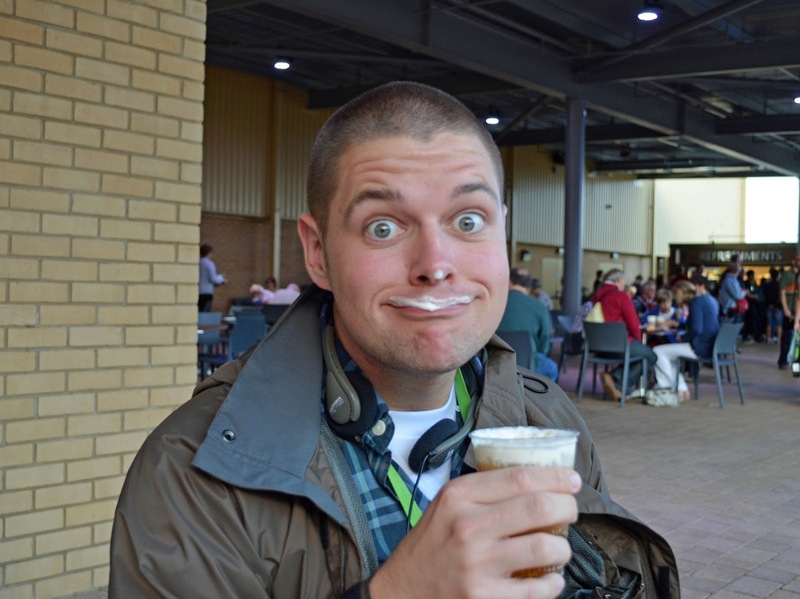 Halfway through our tour route, there was an outdoor covered cafe where you could order snacks and…you guessed it…BUTTERBEER! That stuff is beyond delicious. Of course, no actual beer is involved (aw shucks), but it does taste like a butterscotch cream soda with marshmallow on top. Sounds like heaven, right? It was. 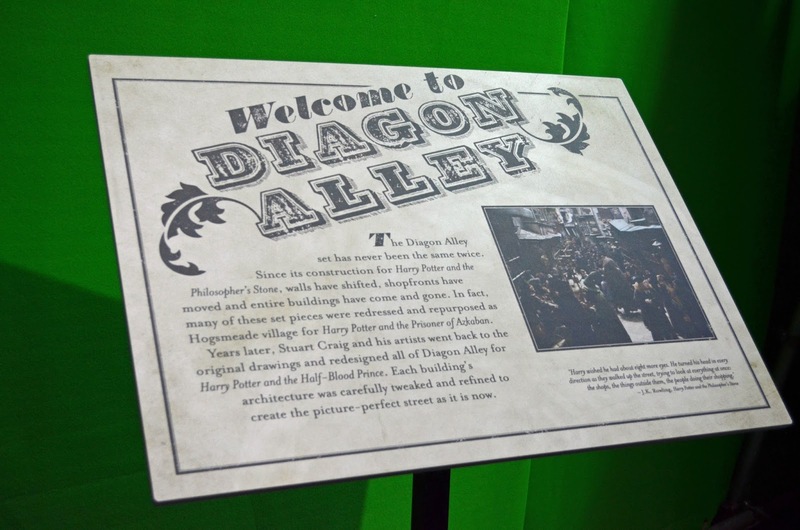 ;) Just beside the cafe was a whole outdoor set area where you could get a more hands-on approach to all things Potter. 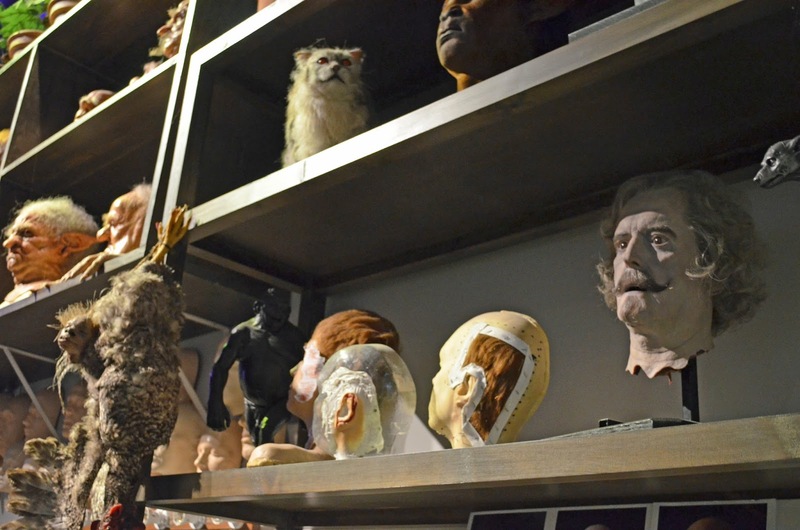 After you moved back inside, you could roam through the makeup and mask department…very, very interesting. 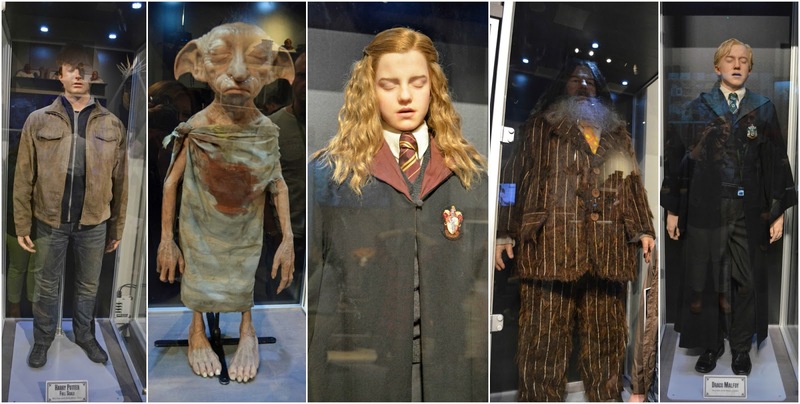 They even had life-size replicas of many of the major characters so you could see how you stack up to the likes of Harry, Hermione, and Hagrid. 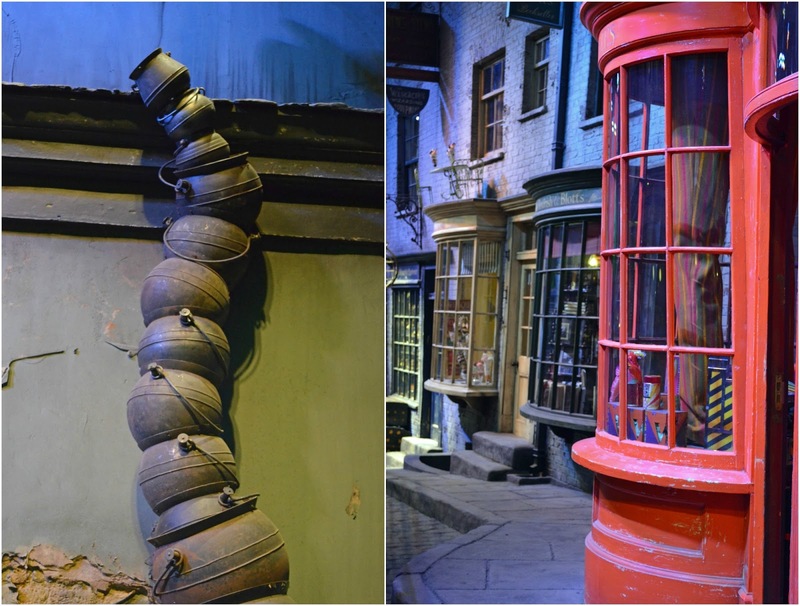 Next came one of my favorite parts of the tour…a stroll through Diagon Alley! 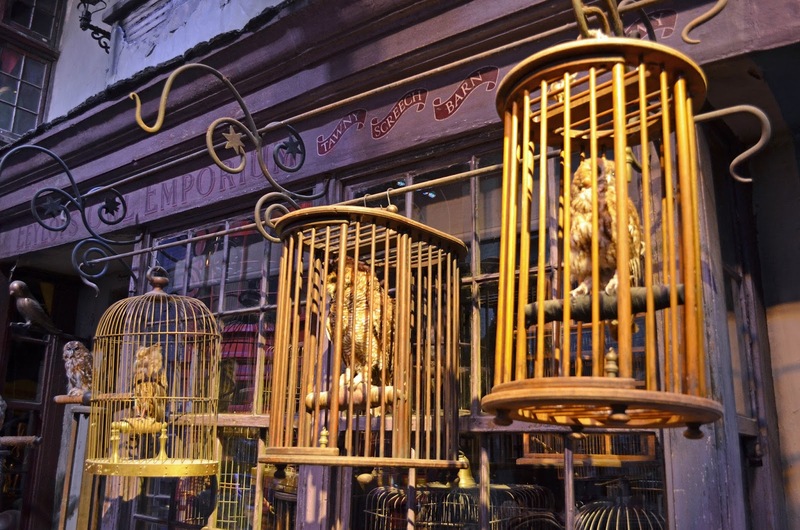 You could peek into each of the storefronts and see wands and owls and all the fun toys at the Weasley's store. The only thing I really didn't love was that the whole place was uplit with red, blue, and purple lighting. I think the idea was to show the alleyway as it changed from day to night, but it made for some really odd photo taking. 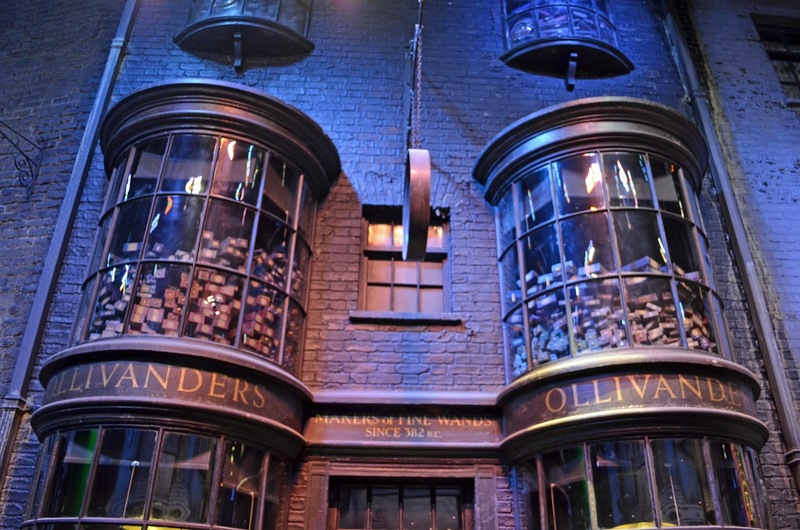 And lastly…you pass through the "Tribute Room" which is what was used as Ollivander's Wand Shop. 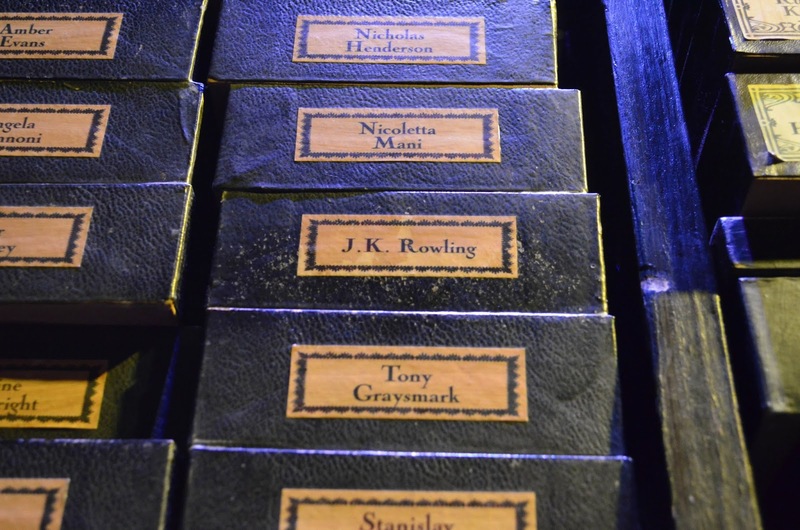 This room was filled to the brim with wand boxes all labeled with the names of the people who helped to create the films over the last 10 years. 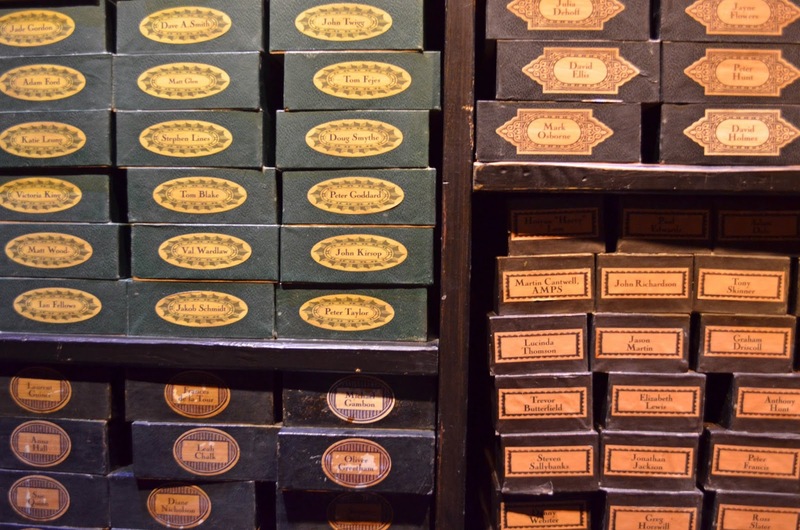 There are over 3,000 boxes and if you look close enough, you can find the boxes paying tribute Daniel Radcliffe, Emma Watson, as well as J.K Rowling. 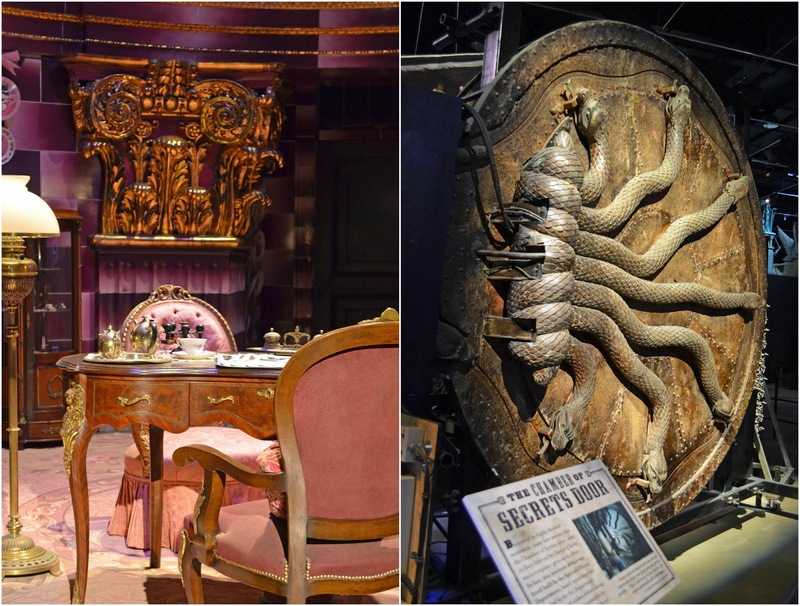 We were only able to find J.K. Rowling's box…but we were assured every actor was there! 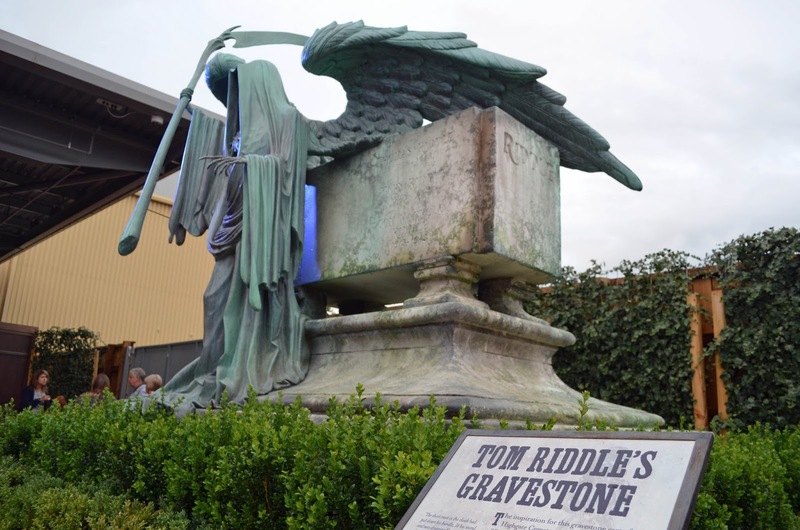 The gravestone is totally creepy. I love your scarf! ahhhh!!! I love HP, my husband well I'm still trying to convince him to watch the movies with me, I loved all the books and movies, and gosh now I just want to watch them again! I told my hubby this is on our list of things to do when we move to England this Fall!!! I can't wait!!!!! Amazing! I think this is definitely on my list of things to do. My husband has never been to Universal or Disney so I'm determined to take him before we have kids. 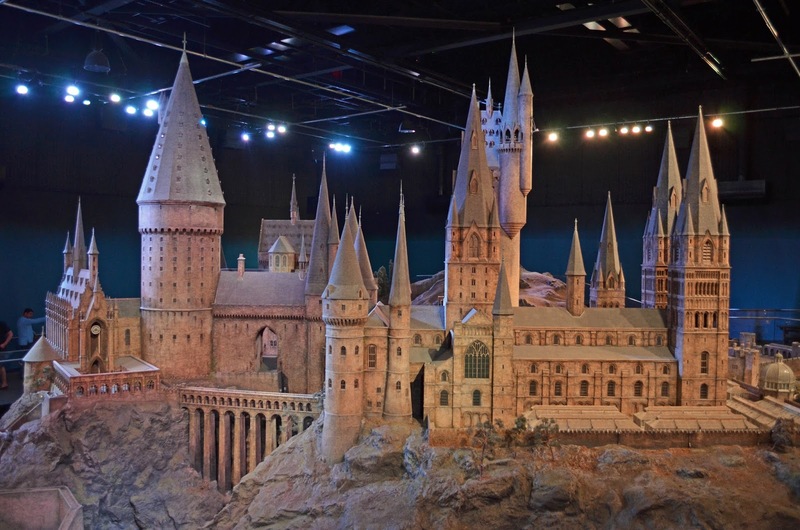 Harry Potter World will be a stop on our list. So incredibly cool. 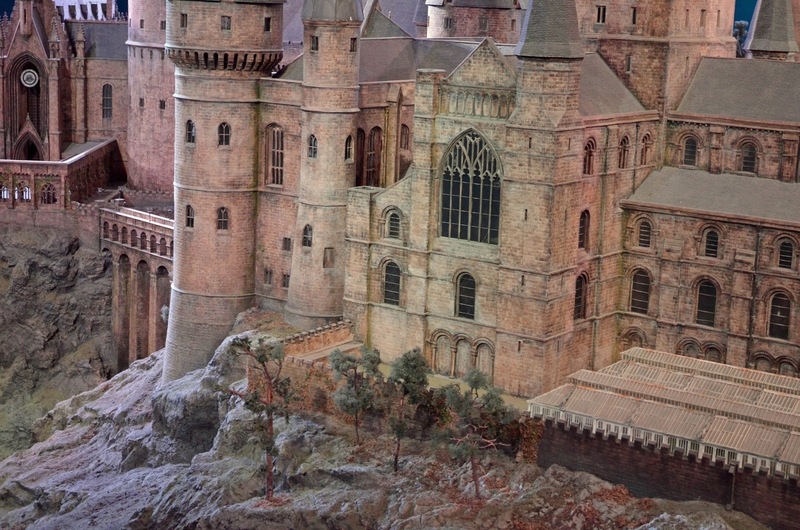 That model is so detailed and intricate! It totally was. 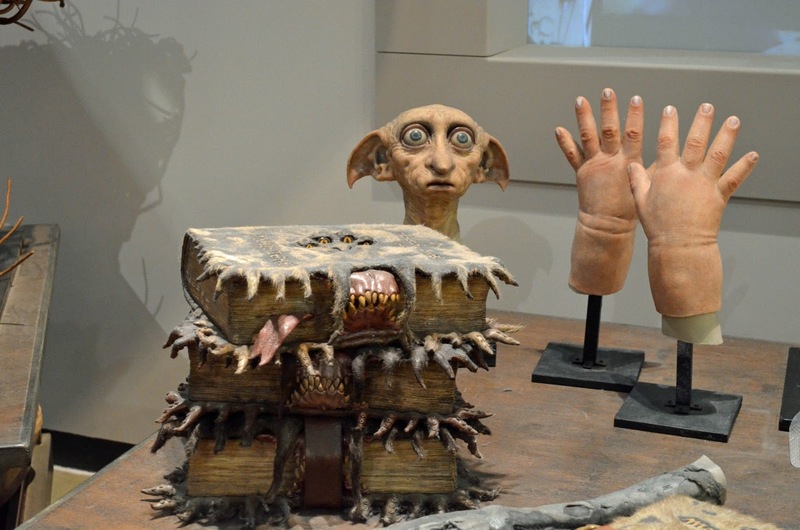 I couldn't believe that it was actually used in the movie. Must have taken FOREVER to build! Ah! 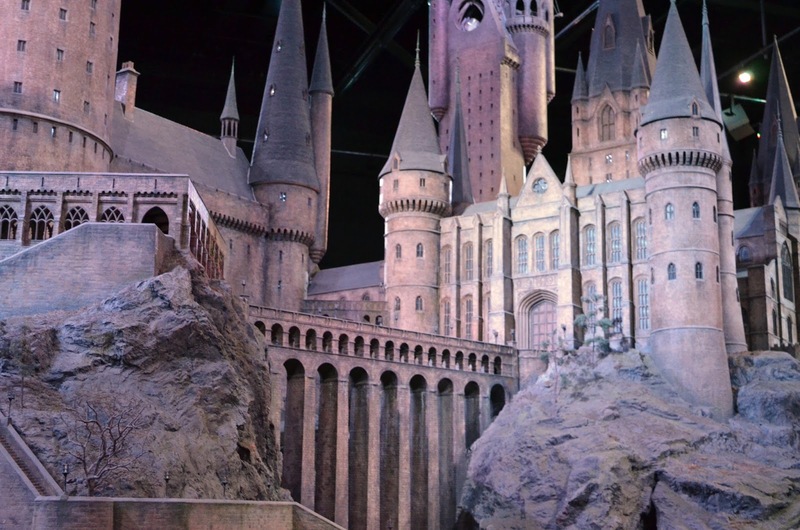 I would love to visit! They didn't open until a couple months after I visited London I was so gutted. I definitely have to make it a priority the next time I visit and to check out the theme park in Florida too. Definitely do! 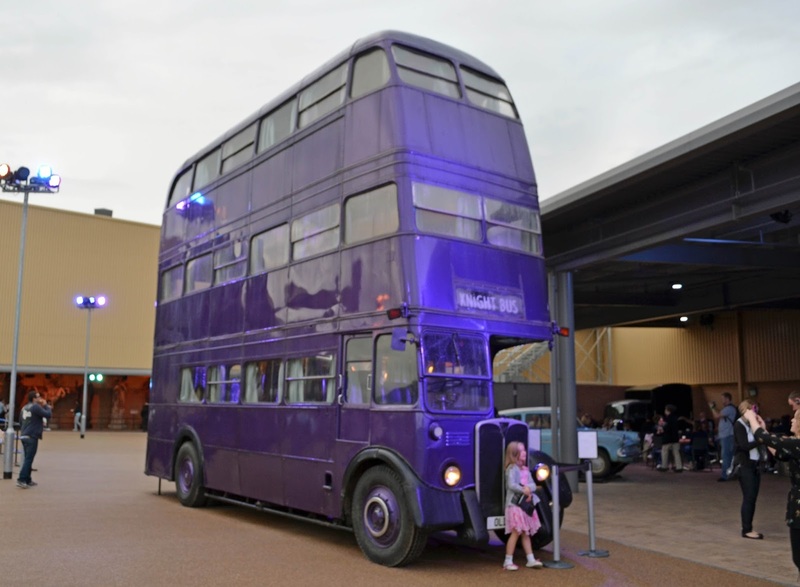 It was one of the highlights of our London trip and we're so looking forward to checking out the park at Universal, too! So, so, so, so, so, so jealous! I will go and check out your other post about it now! I was actually going to ask if a trip to Harry Potter World was on your agenda once you are Floridians, but you beat me to it! 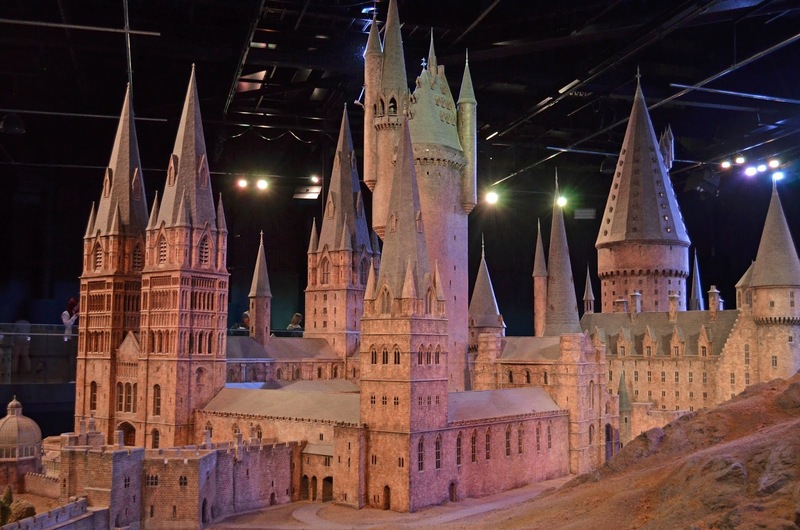 I'm dying to go there, and now I'm dying to go to this in England. Again, so cool! These are just amazing! 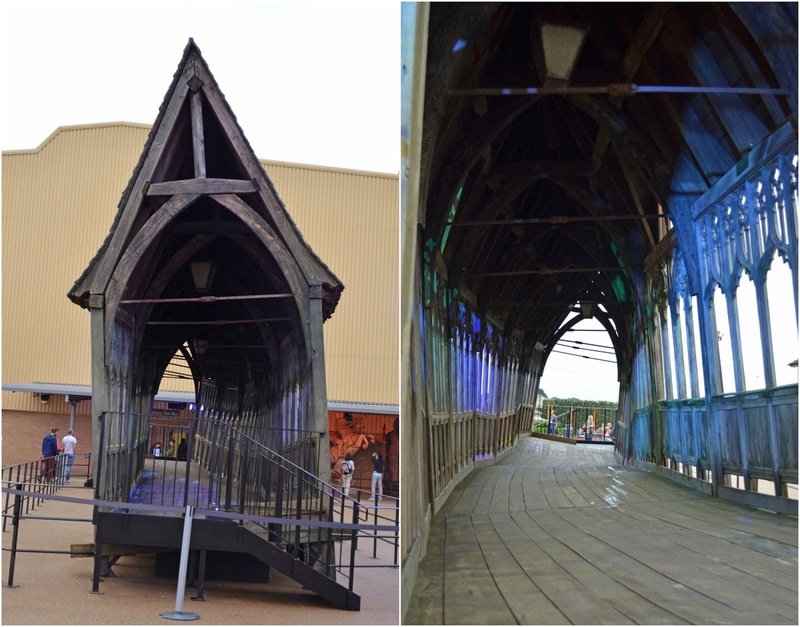 The bridge looks much smaller than I imagined, movies work magic I think! LOTS of movie magic, for sure! 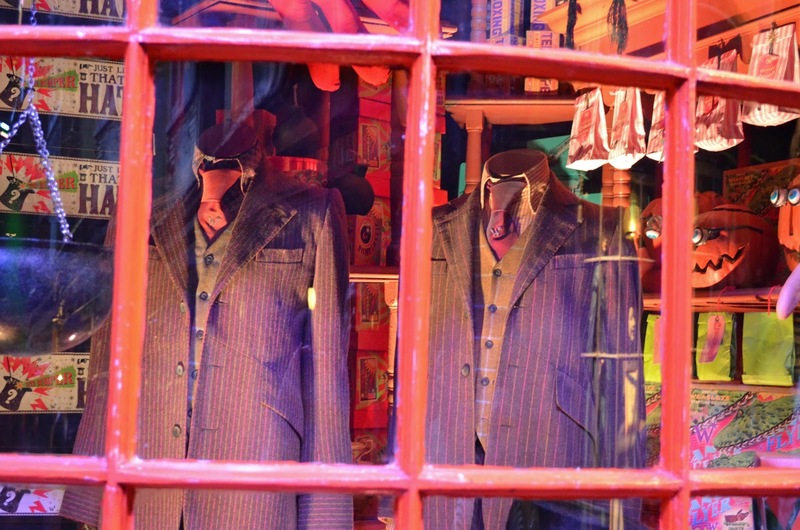 So these past 2 posts have made me want to go to London just to visit Harry Potter World... think I can get my husband on board for that?? He is a Harry Potter Skeptic... so I don't know how he would feel about it... but I may just have to try. 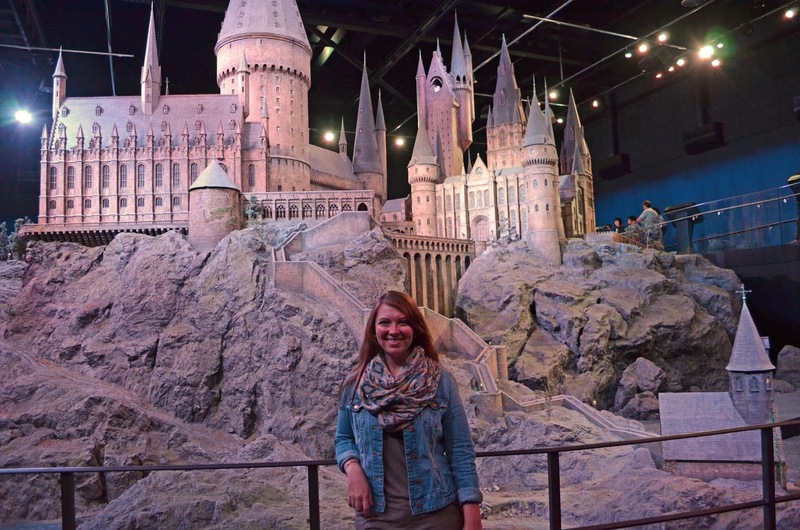 I totally got goosebumps when I entered the room with Hogwarts! 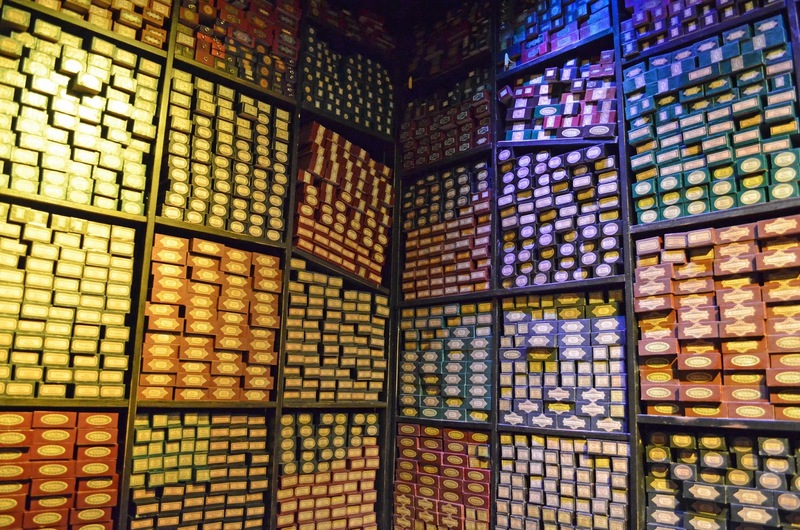 The most magical room in the entire world!!! 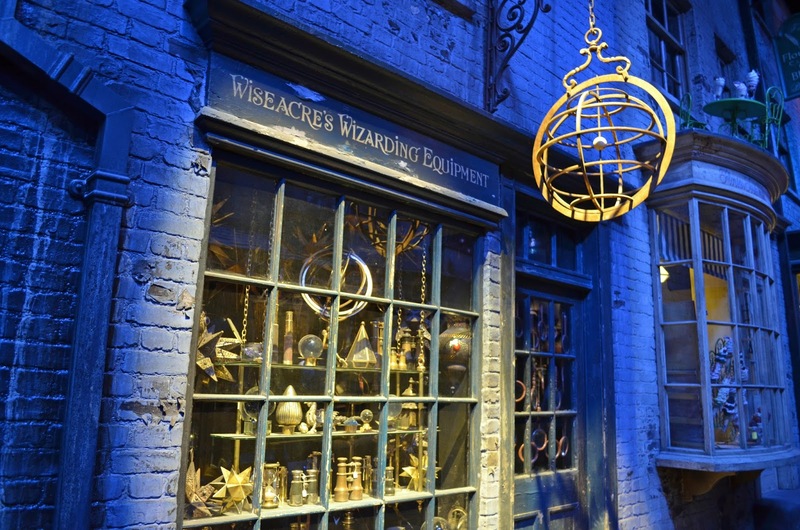 :) Did y'all not get to do wand practice and ride the flying car? :( that was so much fun!! This is SO cool! Just one more reason to cross the pond! Once again, amazing. I somehow doubt Universal's WW could hold a candle to this awesomeness. This sounds like so much fun! 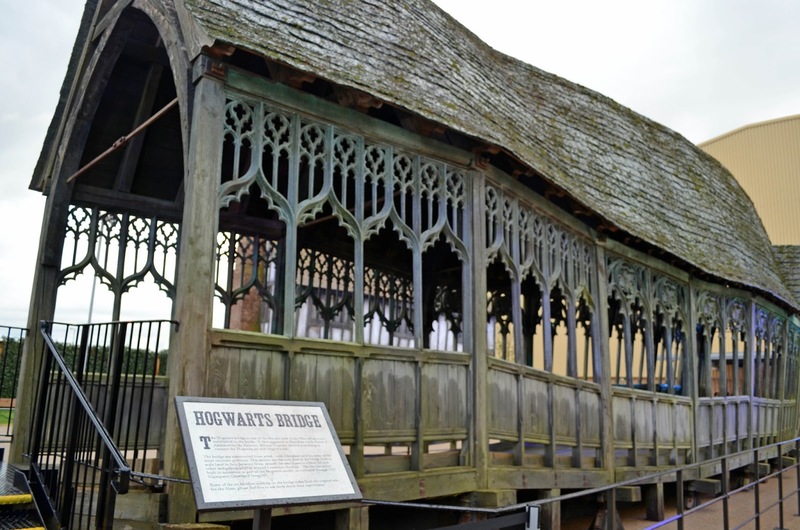 I'm such a bit HP fan and I'm hoping to make a trip there while we are living in LT.
Make sure you do…it's a total Potter-fan's dream! Um amazing! Best wife award right there. I don't think Universal will compare at all after that magic. 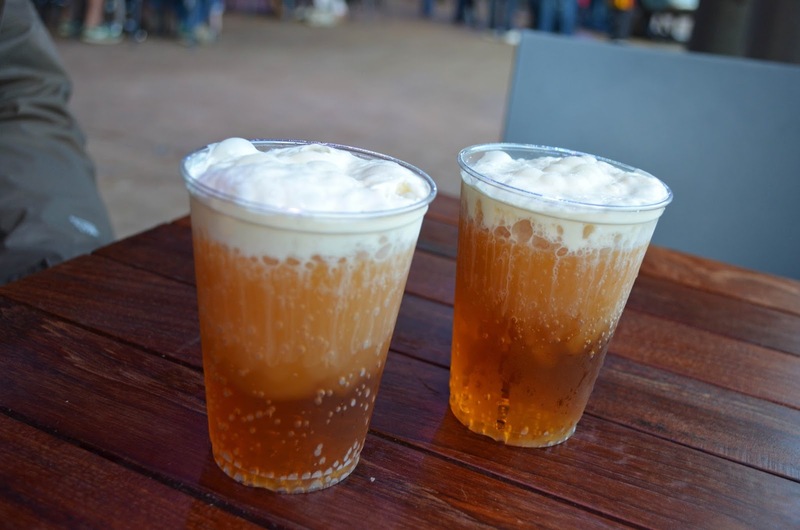 But, the frozen butter beer is worth the price of admission, and the ride is awesome. Were there people there who were just losing it? I feel like I'd be so excited that I'd just have tears streaming down my face. They would be like, how old are you, lady? Thanks for sharing these awesome photos. 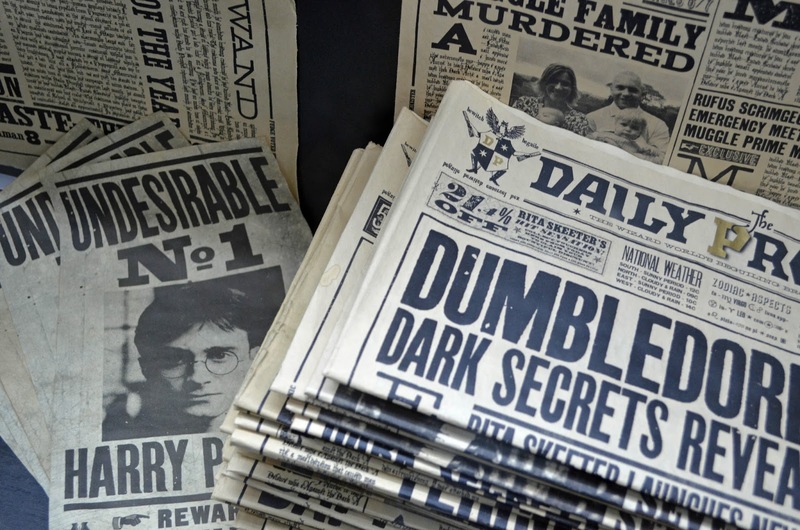 Your Potter-head readers appreciate it! This is amazing! 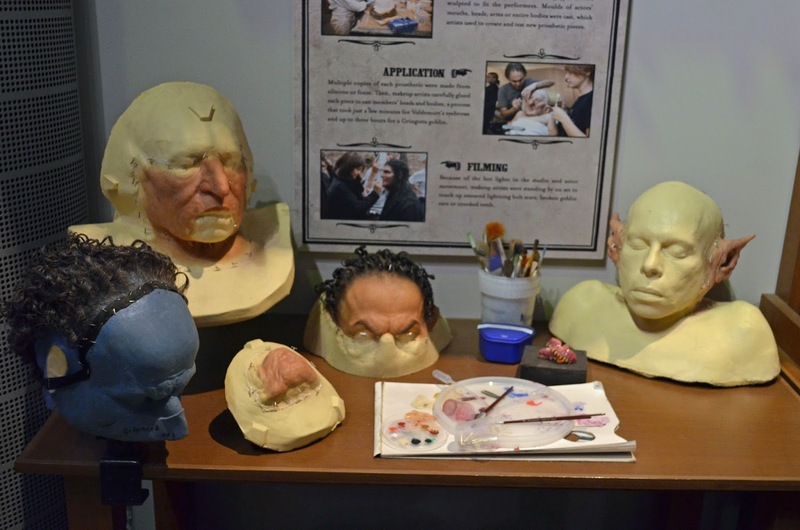 I didn't realize they had the studio open for tours. This is definitely something I want to do someday! Can you believe I've never seen one HP film? Ohmygoshhhh THIS IS SO AWESOME! I've been to London a few times, and had no idea this existed! Obviously I will be making a trip next time. I think I may be one of those crazy people though, but I'm totally ok with that. 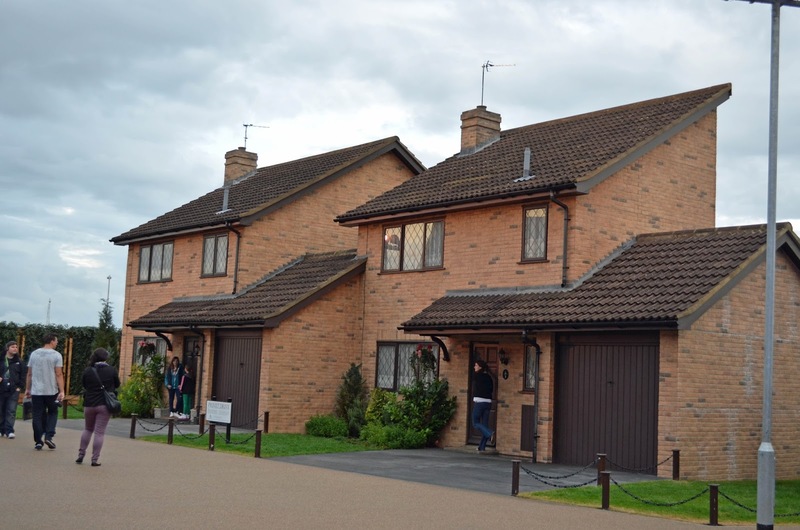 I totally want to see the Dursleys houses and Diagon Alley! 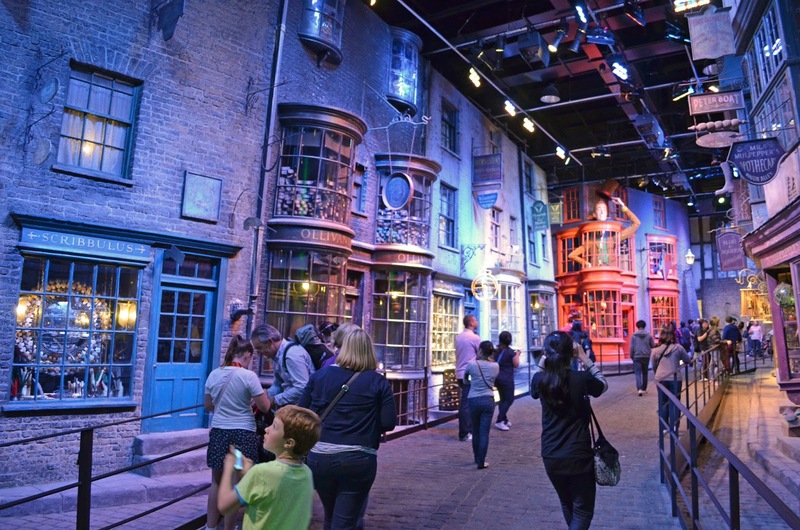 Just seeing Diagon Alley would have made my life complete, haha! 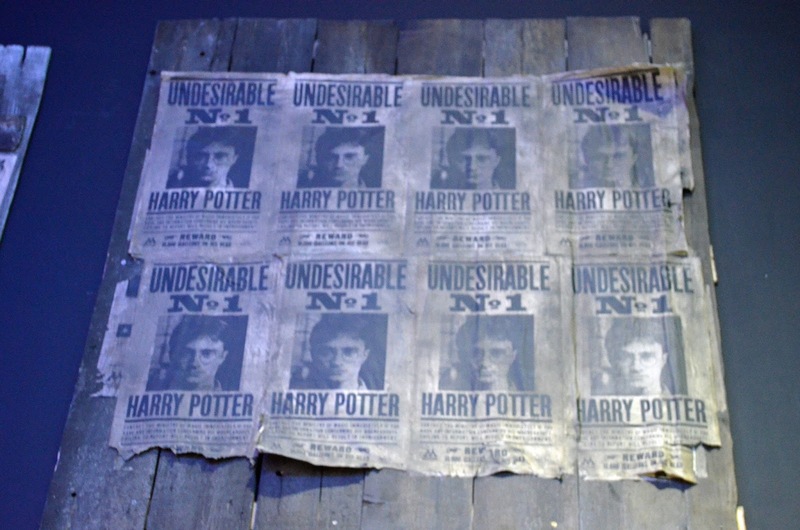 I love anything having do with Harry Potter.. 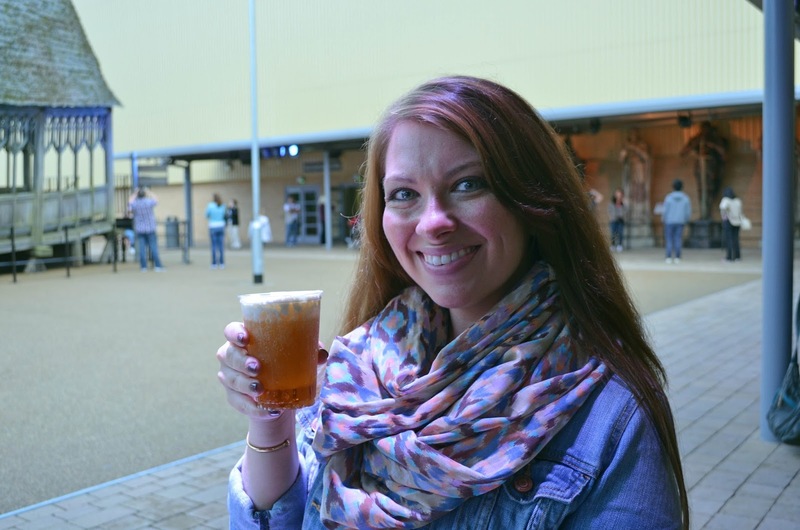 I love the butter beer! The tour looks amazing! Will have to go one day. Great photos. 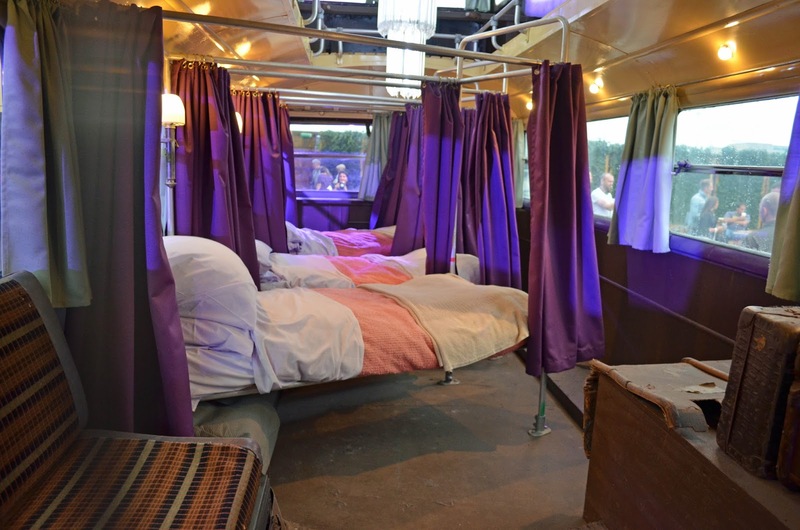 We have got to go check this out, the kids would love it!